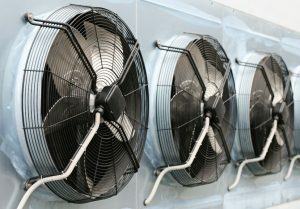 Caldeco Air Conditioning & Heating is one of the most preferred heating and air conditioning companies in all of Central Florida. Since 1989, we have been providing the highest quality workmanship, products and technical expertise to residential and commercial customers alike. A six-time winner of the Carrier President’s Award, we have proven time and again that we have the exceptional customer service, experience and industry knowledge to provide our customers with nothing less than the very best AC repair, maintenance, installation and more. From basic AC repairs and air duct cleaning to new system installations, specialty air filtration and everything in between, we have the service offering to meet and exceed nearly any heating and cooling needs you might have. We are family owned and operated, which enables us to provide our customers with the superior service only found at privately-owned companies, and we have an outstanding reputation throughout the industry and within the communities we serve for our unwavering commitment to excellence and superior customer service. For those in need of a new system, we offer flexible financing options to qualified customers. The Carrier® credit card is a quick and easy way to offset the cost of your new HVAC system. Apply online now to learn if you qualify. If you are on the hunt for heating and air conditioning companies that serve Clearwater, Pebble Creek, Land O’ Lakes, Trinity, Northdale or the neighboring areas, contact Caldeco Air Conditioning & Heating today to schedule an appointment or learn more about any of our comprehensive HVAC services. Whether you are interested in air duct cleaning or need a complete new system, we are ready to serve you!